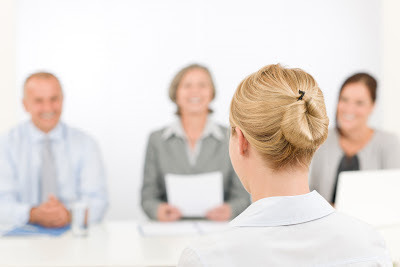 A lot of jobs require two or three interviews before the recruiters select the candidate that they feel would be most suitable for the position concerned. Being shortlisted for a first interview is already something for which you should smile about. However, and as you well know, this is only one step in what could be a long process. 1. Never go to the interview late. Always arrive at least 10 minutes before the scheduled time. If something happens, maybe you get a flat tire or miss the bus, make sure you phone in early and let the interviewers know that you will be late. This leads to another tip: take down the number of the company you are interviewing with and if possibly, your interviewer(s) names. 2. By your interviewer names, we are here referring to the title and surname. Greet your interviewer with a smile, handshake and a 'Good morning/afternoon Mr Borg', not 'Hi, John' - unless of course, this is an informal interview and you're on first-name basis with the interviewer. 3. Let the employer start the conversation. This is general interview etiquette. Also, when employer asks about yourself, focus on your background. Do talk about your professional details but don’t go much into too many details. 4. Keep it simple. You should try to focus on your achievements and job relevant skills instead of your love life or best safari life-changing trip you've ever had. 5. Display your interest in the job. It's not the first time that people go through the interview poker-faced displaying little or no interest in the job. 6. Carry an extra copy of your CV when going for the interview. There might be two or three people interviewing you, or your interviewer might not have a copy of your CV at hand. You will look professional, organised (and a time-saver) if you pass on your CV promptly to the interviewer(s). 7. Provide explanation to the questions. Do not answer just in ‘yes’ or ‘no’ but always try to elaborate by giving examples and your opinions (where needed) on what has been asked. 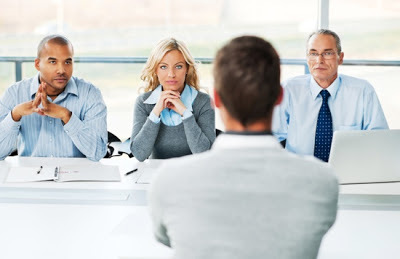 The flow of the conversation is necessary to break the ice and create a warm atmosphere between you and your interview. These are just some basic tips to follow when you are appearing for your first interview. Keep in mind that there are several job-related questions that your employer could ask you. However, the good news is: you should have no fear. There is usually a set of interview questions that are applicable for all positions. This means that the interviewer will ask these questions to you too. If you are prepared to answer these simple questions, then you will already feel confident enough for what is to follow, and probably make way for yourself for the second interview. See the 100 most common interview questions. Make sure that you prepare yourself well and research the company prior to the interview. If you have any questions or you would like to have your CV reviewed by one of our Muovo recruiting consultants, send us an email now on [email protected]. The process of 'unlearning' is an issue that is frequently discussed in current educational practices. 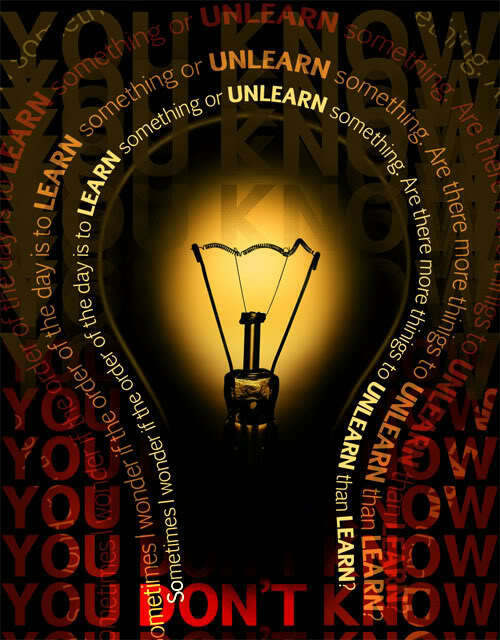 The intricate process of unlearning and relearning is in fact a critical element in the course of the individual's learning development. Muovo has found the following article from CareerHub, which lists the need to 'update' our thinking methods and strategies to keep up with today's economic times. What, if anything, might you need to unlearn and relearn as you explore new options and opportunities in today’s intensely competitive job market? Updating your thinking and strategies to stay current with today’s economic times. Noticing when something isn’t working and integrating new best practices for competitive advantage. Letting go of old scripts that have no relevance in today’s world and relearning new ones that do. Examining thoughts, beliefs and practices to discern worthiness of application now. 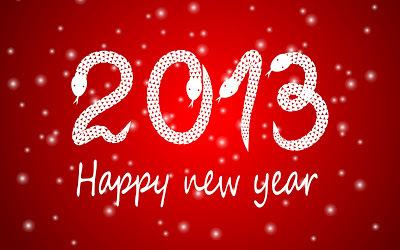 Always striving to advance knowledge, skills and abilities to stay current in such changing, turbulent times. Recognizing that the job market of today is nothing like the one of yesterday, and the job market of tomorrow will be nothing like the one we know today. Navigating your way forward in a constantly evolving world with learning that leads the way. Do you agree with the above? Would you like to add anything else? Let us know what you think! You have applied for several jobs, but no one seems to have made much of your application. You really want to have an interview, but you can't as you still need to get replies from your recruiters or potential employers. Muovo might have found a tentative solution(s). The following tips are some ways how you could market your CV to the point of landing yourself an interview - quickly. This is why you should put these tips into practice if you'd like to attend that interview sometime soon! Perhaps one of the most efficient ways to get an interview is to connect to recruiters directly on LinkedIn.com. Every job seeker should have a LinkedIn Profile. LinkedIn.com is a website that allows professionals to share their work history with others. Recruiters use LinkedIn.com as a way to post jobs and review candidates. Another quick way to land an interview is to post your resume to Job Boards such as CareerBuilder.com, Indeed.com, Monster.com, and SimplyHired.com. Recruiters search these sites for resumes by using a Boolean search. They use keywords to narrow down their pool of candidates. The way to get noticed by a recruiter is to include key words from your desired job description in your resume. This might be considered as old-fashioned, but it is nevertheless one of the most effective and reliable ways of making yourself noticed by your potential employers or recruiters. After you have applied for a job online, a quick way to get an interview is to call the company directly and ask about the status of your application. Usually recruiters can only read the first 50-60 resumes they receive. By calling, you show the recruiter that you are a determined candidate. Even if you don’t receive any information, putting your name out there will help you land an interview faster. If you are looking for a job and want an interview quick, talk to your friends and family about where they work and if their companies are hiring. Strike up conversations at parties and family events. Advertise your job hunt on your Facebook or Twitter account. Be friendly about it and ask people for advice. Many people like to help others find a job. Also, receiving a referral from a friend or relative will also help you land an interview. Most employers prefer to hire through employee referrals. 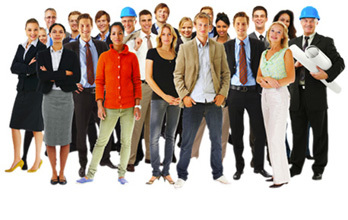 Employee referrals help the company save money on recruiting and usually result in a lower turnover rate. Want an interview and nothing else has helped? Reconnect with your college, high school, or university. Many schools offer Alumni Networks both on campus and online. Use Facebook and LinkedIn to join groups and meet fellow alumni. You never know who might contact you about a job. Do you have any comments or would like to share your experiences? Muovo is waiting for you! Having an interview is already a lot on our plate...but sometimes the plate could be actually standing right in front of you, between you and the interviewer....yes, during a meal interview. What should I do? 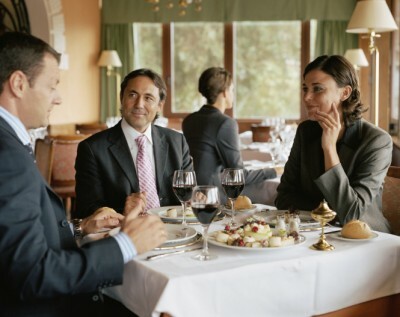 Are there different rules of etiquette for meal interviews? Muovo is sharing with you the following article, courtesy of SparkHire, regarding the etiquette required during meal interviews. If you have any experiences or suggestions that you would like to share with us, feel free to send a comment! What you should first consider is your wardrobe. As SparkHire rightly states, there is no difference as such regarding clothing choices between a meal and an in-office interview. You do want to consider the general dress of the restaurant though, which should be readily available online. While you never want to spill, a general rule of thumb would be to go with more forgiving colours. A stark white shirt will show even a speck of food; and loose blouses for women are begging to brush up against food. Also, be sure to wear comfortable clothing, nothing too tight around the stomach. When you arrive at the restaurant, wait for your entire party. It is polite in any scenario, but especially so if you’re waiting for your interviewer(s). You do not want to give the impression that you have been waiting a long time (and hence becoming impatient! ), or have a misunderstanding on where you’re sitting. If your interviewer is running late, go to the bar and order a drink. The drink you order depends of course on the time of the interview and type of restaurant (so don’t order a mulled wine or whisky for a lunch interview in a cafeteria). 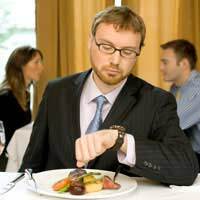 An article from Boston.com provides some great meal interview etiquette tips from a local etiquette expert. The article gives you some of the basics like silverware and plate arrangement; also, it states why you should never drink during an interview and chew with your mouth closed. It also gives you some thought as to when to start eating and never arriving to a meal interview hungry. Muovo lists some tips for aspiring job seekers. The fastest way to enter (or re-enter) the workplace is to incorporate lifelong learning into your job search. Too many job seekers are focusing solely on how to get a job, quickly, but not enough on improving their skills. If you have time on your hands, use it: do something creative, get some new skills, or refine the skills you already possess. This will ultimately elevate your marketability, and hence, it’s an investment. Take some time to do something for Yourself. Having spare time on your hands is something you will long for once you are successfully employed. 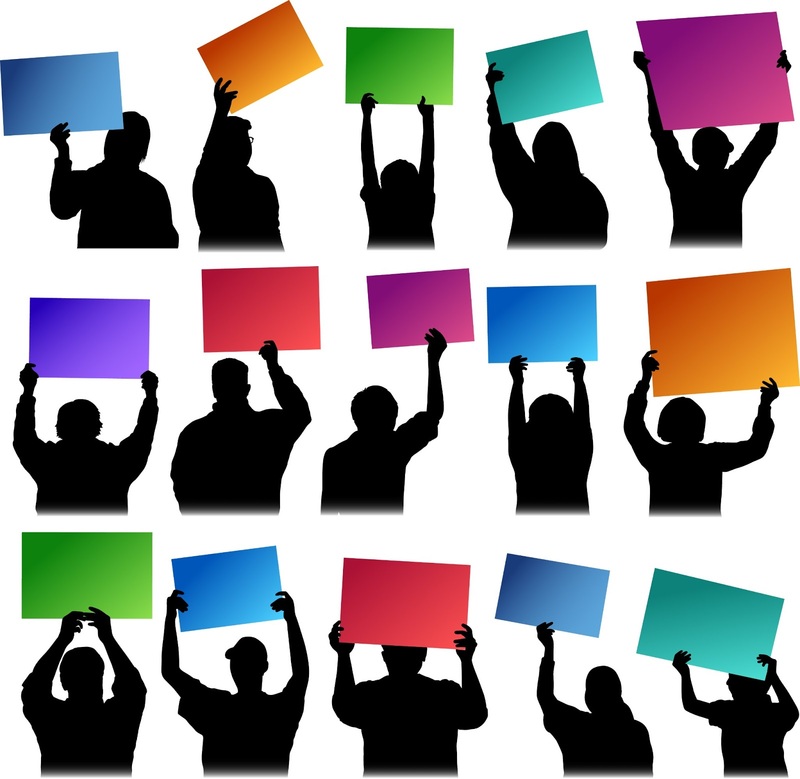 If you are unemployed, then you should be actively networking. It is undeniable that networking is key to building a chain of connections that can help you find a job. Job seekers who network are likely to find jobs quicker than others who are not so keen on networking. What is your Career Personality Type? Knowing your personality type is one of the greatest self-assessment tools you can do if you plan to take your job-seeking seriously. Muovo has found the article below incisive and beneficial to all the job-seekers aspiring to land themselves a job some time soon...and getting to know themselves better in the process! The first self-assessment task is about finding your career personality type or 'Holland Code'. John Holland is a psychologist who developed a "theory of careers" that is routinely used in assessing vocational interests. His view is that "the choice of a vocation is an expression of personality" and that there are six primary types. Your career personality is usually described in terms of the two or three codes that best describe you, so that means there are a lot more than just six actual types. These personality types are not just used to describe your career interests and personality. They are also used to describe work environments and occupations. They are represented on a hexagon to show that the closer they are together (next to each other and across the hexagon), the more they are related (the Conventional and Artistic types are on opposite sides and are the least commonly related). prefer "hands-on" work using tools and machinery. like building and fixing things and solving problems in practical ways. like working with materials, or outdoors or with plants or animals. don't like a lot of paperwork or having to work closely with others. prefer working with ideas and data, rather than with people or things. enjoy solving problems by thinking and studying and analyzing information. jobs often require advanced education or training. independent and often introverted individuals. prefer work that involves the use of creativity, imagination and self-expression. like working in unstructured situations. don't like having to follow rules or set procedures. jobs require a sense of design and an appreciation of aesthetics. 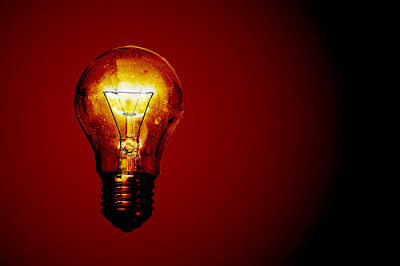 innovators who tend to be non-conforming and idealistic. prefer teaching, communicating, and serving and helping others. like to use interpersonal skills and have an understanding of human relations. jobs require the ability to engage people at a personal and emotional levels. have to able to cooperate in working with others. individuals who are altruistic and sociable, friendly and socially responsible. prefer work that involves persuading, leading, influencing and managing others. working to meet organizational goals or to make money. work requires energy and ambition, and a fair amount of self-confidence. jobs are usually business related and often involve sales and promotion. energetic and optimistic, sociable and talkative individuals. individuals who are focused on competing and getting ahead, entrepreneurs. prefer work that is detailed and orderly, structured and routine. prefer work that involves data and information, rather than people or things. like the rules to be known and don't like to have to be creative. jobs involve orderly processes and record keeping. clerical and administrative jobs are typical. reliable, persistent, efficient, conforming, practical and conscientious individuals. Keep in mind that no one is really just one type and that these categories can combine in a number of interesting ways. In fact, if we looked at all six codes for any individual, there are 720 different possible combinations. What we want to find are the two or three primary codes that describe your personality and interests. Any comments? Muovo would like to hear from you! 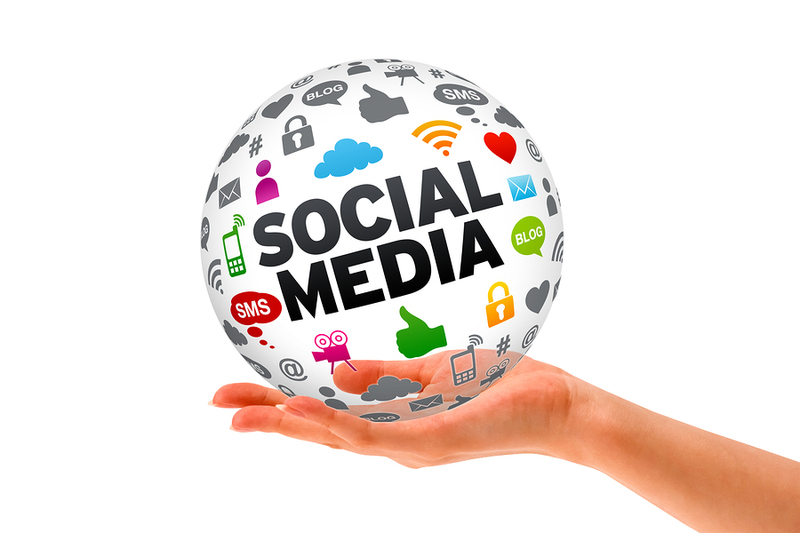 Muovo would like to share with you the following tips regarding social media use. Remember that the first question you should ask yourself for every use of social media, be it facebook, twitter, LinkedIn, and so on, is whether what you have posted ‘makes you look desperate’. Do not write, therefore, ‘IN DESPERATE NEED FOR A JOB’,or ‘I’M SO ‘UN’ - UNEMPLOYED AND UNHAPPY, get it?’. This is a real turn-off for both the potential employer and recruiters to see that a candidate is using every interaction on social media as a means to landing himself or herself into a job, whatever that may be. Do you have any other tips? Muovo would like to hear from you! 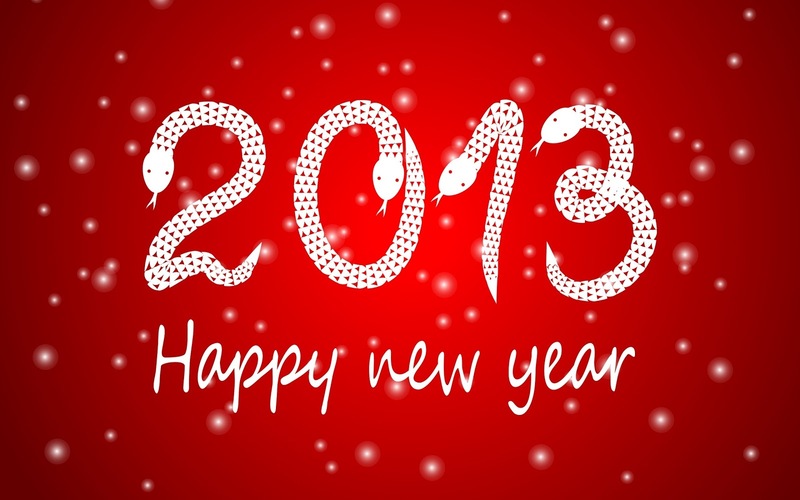 Muovo would like to wish you a happy and prosperous New Year 2013.